FCC Chairman Ajit Pai issued a statement regarding the Office of Inspector General's independent investigation into the alleged incident past year involving the agency's Electronic Comment Filing System. Pai said in the statement he was "deeply disappointed" that the FCC's former chief information officer (CIO), whom he pointed out was hired by the prior administration and is no longer with the agency. "This is completely unacceptable". Pai said he's also dismayed by what this drama reveals about FCC culture. "I'm also disappointed that some working under the former CIO apparently either disagreed with the information that he was presenting or had questions about it, yet didn't feel comfortable communicating their concerns to me or my office". Pai's statement made no mention of what actually caused the site to go down in May 2017. He now serves as executive director at People-Centered Internet, an organization that helps communities with tech projects. However, looking at Pai's statement it is clear what this report is going to say. Pai also claimed that the report "debunks the conspiracy theory" that he and his office knew the DDoS claims were unfounded. The broadband watchdog's own inspector general will any day now release its findings into the outage, and confirm what many people had suspected all along: the May 2017 downtime affecting the United States regulator's Electronic Comment Filing System (ECFS) was the result of actual netizens flooding the comment page with pro-net-neutrality comments - and not, as the FCC alleged, an automated attempt to crash the site. The agency experienced a rush of traffic shortly thereafter. This wasn't the first time the comment system locked up, nor the first time Bray was fingered as making an unsupportable statement. 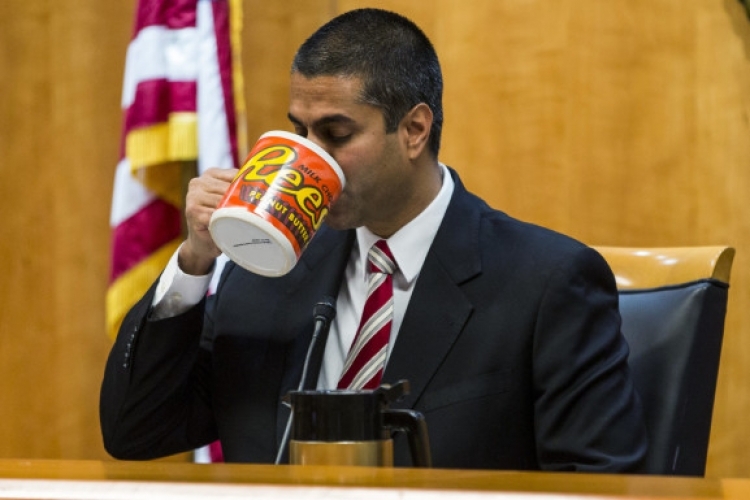 The FCC did not immediately respond to a request for comment. ".we learned very quickly that there was no analysis supporting the conclusion in the press release, there were no subsequent analyses performed, and logs and other material were not readily available". Many were skeptical of the FCC's claims, and it seems that skepticism has proved warranted now. Months before the event, FCC Chairman Ajit Pai formulated an official proposal that would roll back the Obama-era neutrality rules. If you weren't keeping up to date on tech news previous year, you might not be aware that the FCC voted 3-2 to kill net neutrality on December 14. Since then various members of Congress has become involved, even asking the Federal Bureau of Investigation and Government Accountability Office to look into the issue. As a reminder, the current FCC leadership didn't only concoct this story of the DDoS attack. In brief: Prior to the FCC's December 14 vote to kill net neutrality, the organization claimed its public comment system suffered a "DDoS" cyberattack, which allegedly took the system down for a couple of days. Previously, Bray had said this incident was merely a weakness in the agency's legacy systems - legacy systems that he, as CIO, was intent on overhauling. Fight for the Future has accused the FCC of "invent [ing] a fake DDoS attack to cover up the fact that they lost comments from net neutrality supporters". "I'm therefore pleased that Congress last week approved a reprogramming request that provides us with the funding necessary to redesign [it]", he said in his statement. Mr Trump's sanctions follow the withdrawal of the United States from the Iran nuclear deal earlier this year. President Donald Trump said any company working with Iran would be isolated. Another senior Mexican negotiator was a little less bullish about the chances of a deal this month. Guajardo said top USA and Mexican officials could meet again on Wednesday or Thursday. Maybe Jenner could have a turn as the Mister Sinister cone, Miss Sinister. 'At this point, no, ' she said. Jenner said that she had a hard time after she won the gold medal at the 1976 Olympics decathlon.